Recently Tarang Parivaar Awards of Tarang TV for the year of 2013 held at Puri district sports complex. It was telecasted on 14 December at 8 pm, on Tarang TV. “Tarang Parivar Awards are held in different cities of the state to connect directly with the viewers and fans thereby creating a relationship with them”, said an orgainser of the mega event. This is the 4th Tarang Parivaar Awards. The 1st, 2nd and 3rd events were held at Berhampur, Rourkela and Balasore respectively. 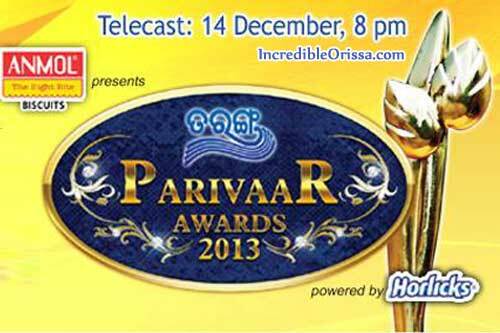 Tarang Parivaar Awards is one of the much awaited events of the Oriya television industry. The recently held Tarang Pariwar Awards at Puri also turned out to be an extravagant – larger than life celeb-studded event. Watch all videos of Tarang Parivaar Awards 2013 here. Copyright © 2019 Oriya Films.